I have to start by saying how refreshing, encouraging and inspiring it is to be involved with StartEast. After communicating with them via email & attending one of their networking jams, I left feeling excited for the future of Yodanga Arts & ready to hit the ground running. 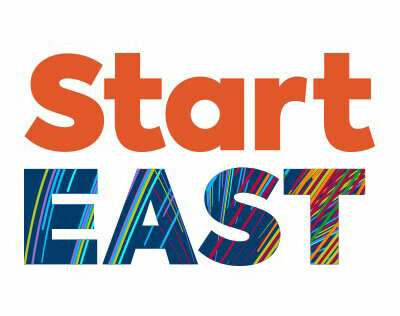 StartEast also have an incredible group of regional and national cultural and business development partners on board such as Norfolk County Council, Suffolk County Council, DanceEast, Creative Arts East, SeaChange Arts and Creative United. Not only that, the team of advisors they have on board is amazing!! On the Networking Jam that I attended, I got the chance to join three workshops that were hosted by three of the advisors. I opted for a 1-2-1 session with Sue Lawther, a Creative Collaborations workshops with Amit Lahav & Helen Baggett from Gecko & a Business Planning workshop. If you would like to see who else is on their team of advisors, click here! StartEast offers support to any creative person who is seeking business advice & support. Whether you are an artist, dancer, actor/actress, writer, photographer, theatre director, costume designer, circus performer…StartEast go above & beyond to assist you. StartEast is an incredible programme for creatives for multiple reasons. Not only do they work with you to offer you the best support possible, they listen to your wants & needs as an individual, artist, business owner & entrepreneur. They also bring creative people together & build a network of likeminded creators. I cannot begin to vocalise how important and valuable this is. Lastly, in a time where Arts funding is being cut left, right & centre, it is refreshing & uplifting to see a programme that is helping to build a vibrant cultural economy. If after reading this blog you believe that StartEast are the support you’ve been looking for, I highly recommend browsing through their website. It is full to the brim with useful information & if you wish Get In Touch – you can!